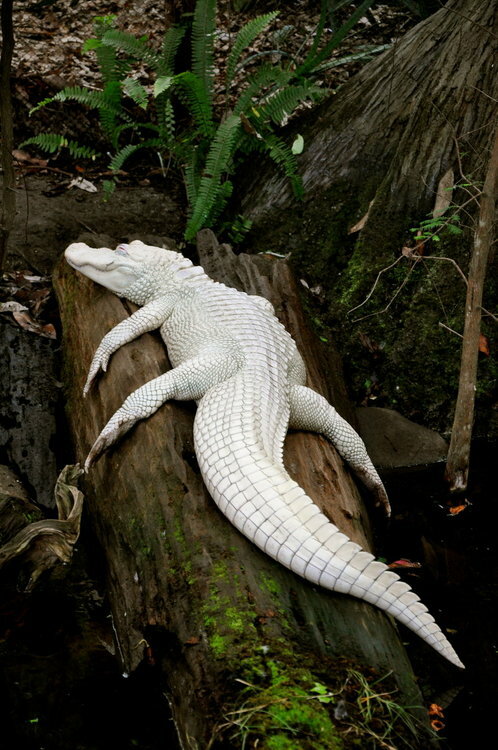 It sure looks as white as the driven snow, this is one pretty amazing looking American Alligator. This photo was submitted to the blog by Deb H (a hat tip and my thanks to her) along with a photo of another white gator but I lost the email into the nether world on cyberspace before I downloaded the second one. Sorry about that. 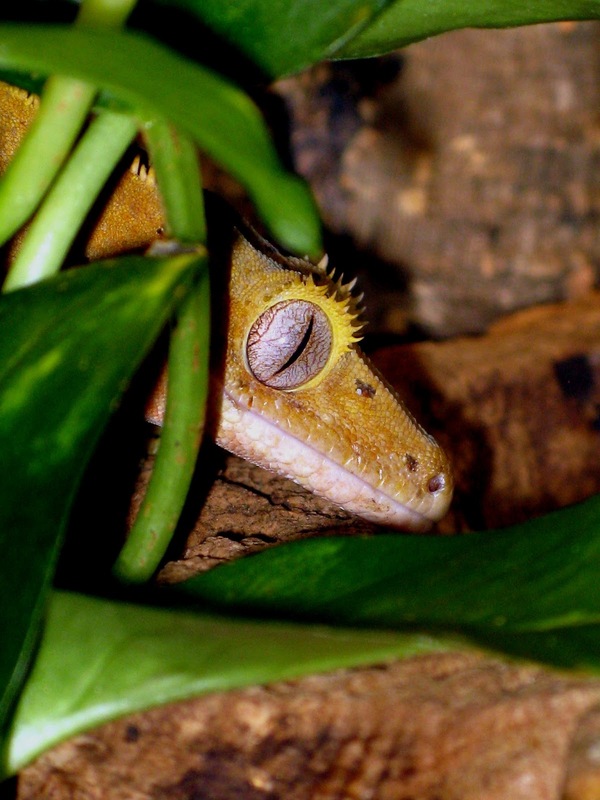 I had a couple of new crested geckos hatch out over the past two days, on May 29th and the other on the 30th. They are each about 3 to 3.25" long and both were from eggs that were on the somewhat smaller side. They seem to be doing well and are spending time in a nursery tank together. They will be getting a diet of mango and peach flavored baby foods, Repashy Crested Gecko Meal Replacement Powder, crickets and roaches along with daily misting for hydration. I also have six eggs left in the incubator including three new eggs as of earlier this past week. Although I have kept Crested geckos on and off over the past few years, it still amazes me how easy it is to care for them and to breed them if you can maintain the right temperatures for them. I keep mine in the basement where the year round temperature probably does not deviate more than 4 degrees either way from 70 except during longer hot spells when it may go into the low eighties. (in which case the CG tanks get moved into the finished basement room with the air conditioner. )Other than watching the temperature, I keep the humidity fairly high by daily mistings, use a substrate that holds moisture (I use cypress mulch), have plenty of hiding places for them in their enclosure, give them food on a daily basis and clean the tank about weekly (or sooner if their droppings are on the glass). There is a chance I will have these or others on display tomorrow in the LIHS's exhibit at the Cold Spring Fish Hatchery and Aquarium's Reptile & Amphibian Appreciation Day. Hope to see you there. 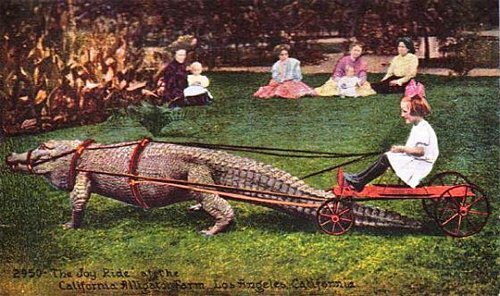 I should definitely have some tortoises, turtles and a couple of bearded dragons, if not these or some other geckos too. Here is a short video of my Bearded Dragons wolfing down some Blaptica dubia (Guyanan Orange Spotted Roaches). Bear with it, the quality gets better after 15 seconds or so. They are working on the third share that I gave them within about a 10 minute time span. As you can see they go for them with gusto - no mustard, ketchup or relish required. Blaptica dubia are supposed to be one of the more nutritional feeder insect species available on the commercial pet food market. They are easy to keep and fairly easy to breed. I just received a shipment of 1,000 of them today. My previous purchase was made back in late February, also a thousand lot. As you can see, even though I fed them to my beardies, Crested Geckos, Mossy Gecko and water turtles, they lasted quite a long time - even with the Bearded Dragons wolfing down many of them at each feeding. As for the Crested Geckos, I feed the roaches, of appropriate sizes to my adult crested geckos all the way down to newborn cresties. I also have a single New Caledonian Mossy Gecko (Rhacodactylus chahoua) who loves them as well. Today he polished off an adult male Blaptica dubia which was one heck of a feat considering the roach was about 1/3 to 1/2 his size. That first order of roaches lasted as long as it did because they were breeding just about all along. I did eventually get down to what was probably my last 50 of them or so because I was not really trying to establish a long term breeding colony and because I was feeding the roaches to my herps faster than they were reproducing. Thus their numbers fell to the point that I had to place another order few days ago. I was cleaning out my Crested Gecko enclosure last night and much to my satisfaction I found another three eggs in the substrate. 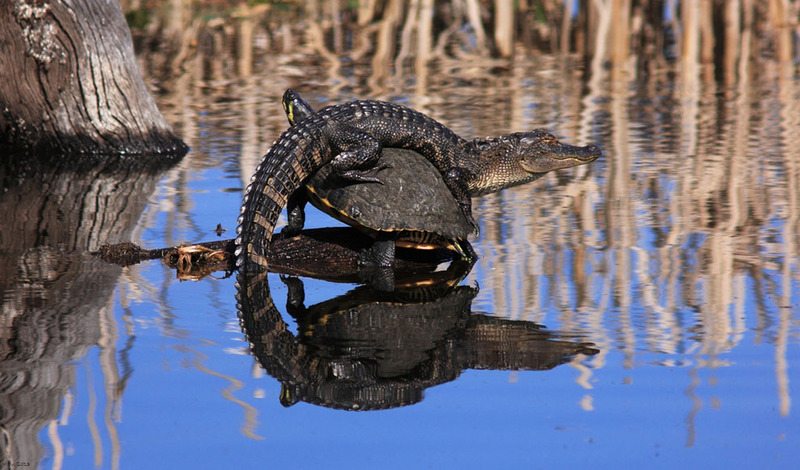 Usually each of the females lays two eggs at a time. I am uncertain if one still has not laid the second egg, if one of them laid three eggs (is that possible) or if one laid two eggs and the other just one. Anyway, that now makes three babies in the nursery tank and 8 eggs in the incubator (would have been 9 eggs but one that was in there for awhile proved infertile). Picture will probably be posted after they hatch. Next Saturday, June 1st, the Long Island Herpetological Society will be at Reptile & Amphibian Appreciation Day at Cold Spring Harbor Fish Hatchery and Aquarium. LIHS members will be displaying a good variety of herps from snakes to lizards to turtles and tortoises and hopefully some frogs, toads, newts and salamanders too. Some of the animals on display will be available for hands on if you are so inclined. In addition, CSHFHA will also be holding its Turtle & Tortoise Pageant on the same day. These events will run from 10Am until about 4PM. They are a great way for a family to spend the day together while learning about reptiles and amphibians and while there you can also get in some trout fishing or just check out the trout feeding (or feed them yourself) and take a look at the collection of native species of fish, turtles and other reptiles and amphibians that CSHFHA has on display. Don't miss their indoor display of baby turtles. Pardon me for the previous content that appeared here. That was meant for my personal blog. I will be much more careful in the future not to post here what was meant for my personal blog. I forgot to sign off of this one and thought the entry was being made on the other one. My sincere apology for that. A new state record for Burmese Pythons has been set in Florida at 18'8" long. The snake was spotted by the roadside in the Everglades and a single adult male captured it, struggled with it, and then cut off its head. Burmese Pythons are an invasive species in Florida and are actively sought out to be removed from the wild, usually by termination. Blue #9, laying eggs in a front yard in April 2013. She laid 27 eggs. A longtime resident of the Florida Keys, Blue #9 was an eye catcher. 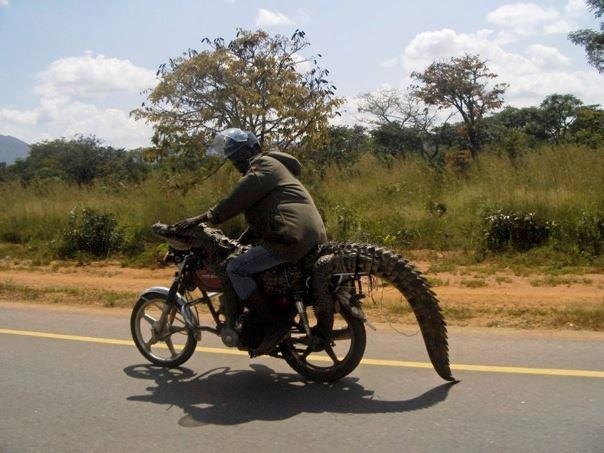 You see, it was a 9 foot American Crocodile and I would think that pretty eye catching. I say was, because law enforcement recently discovered its carcass floating in Florida Bay near Islamorada this past Sunday and her death is considered suspicious. 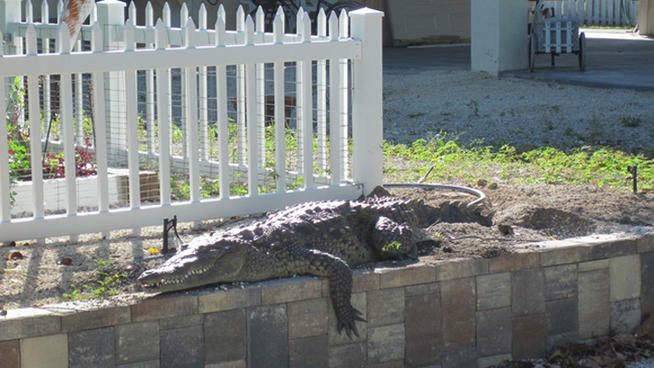 For more info, see: http://www.nbcmiami.com/news/local/Reward-Offered-as-Death-of-American-Crocodile-Known-as-Blue-9-Investigated-Florida-Wildlife-Agency-Says-207646961.html. The LIHS will be participating in the Cold Spring Harbor Fish Hatchery & Aquarium's annual Reptile and Amphibian Appreciation Day. The event is to take place on June 1 from 10AM until 4PM. The LIHS will have various reptiles and hopefully some amphibians on display. We have participated at the event for years now and it is always a big hit with families that attend. Both kids and adults are virtually always enthralled by the displays of live animals. Hope you can make it. 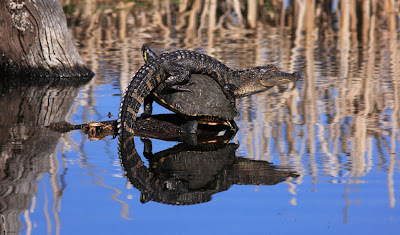 A note to LIHS members, we do need volunteers to attend, see: http://www.lihs.org/files/herpday.pdf. In addition, the day will also include a judged Turtle & Tortoise Pageant which will be held concurrently with the above event. This pageant is independent of the above but LIHS members are almost certain to have some turtles and tortoises in the pageant too. So, if you show up, you get two events for your enjoyment along with all of the regular exhibitions at the CSHFHA. The LIHS will be holding its annual auction in the Conference Center at SUNY Farmingdale in Melville, NY, just off of Route 110. 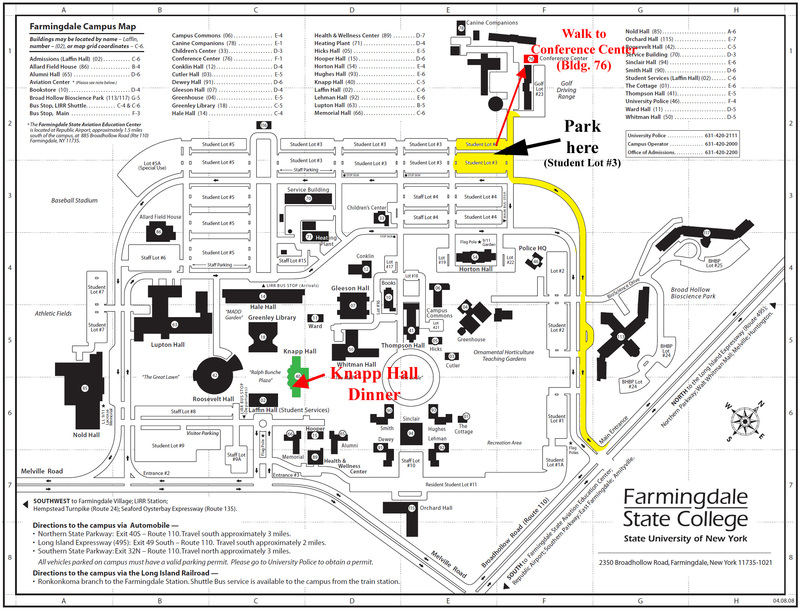 It is slated to run from 1PM to 4PM (but may end earlier). For the most part, herp related items will be auctioned but non-herp items may also be offered. Items may be new or used but used items should hopefully be in good shape. Proceeds to benefit the LIHS which is a New York State registered, not-for-profit organization, formed in 1987, to educate the members of the organization and the public with respect to the conservation, ecological role and captive care of reptiles and amphibians. Photos submitted by Deb H to whom I once again tip my hat. Will The Turtle Be Unbroken??? 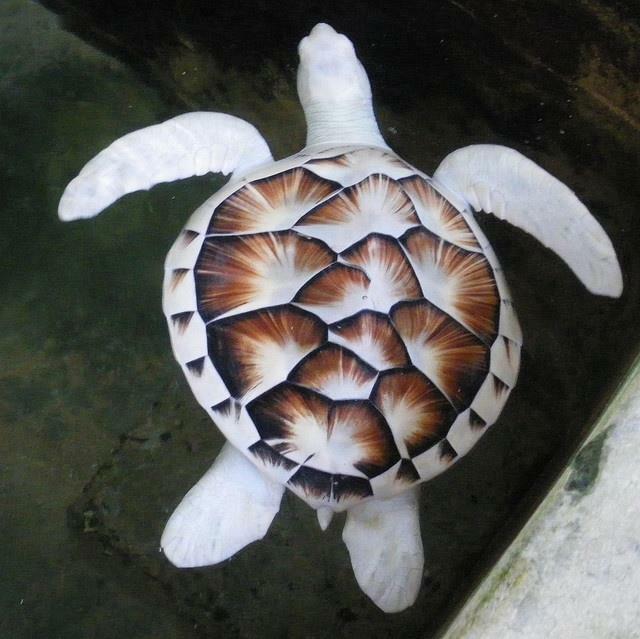 Here is a musical piece for your listening enjoyment as submitted by Deb H.
Hat tip to Deb H, who sent in this picture (source: http://imgur.com/baz0Zbe) of a spectacular sea turtle that I am guessing is leucistic or pied. Just one of my crested geckos, maybe a little hung over and in need of eye drops.